WASHINGTON (Reuters) - Billionaire activist Tom Steyer's climate change advocacy group offered unexpected praise on Friday to Republican presidential hopeful Jeb Bush for saying the United States should work with the world to reduce carbon emissions. NextGen Climate, which launched a "war room" earlier this month to target presidential candidates that deny the existence of climate change, said Bush stood out from fellow Republican hopefuls for acknowledging the issue but called on him to offer ideas for tacking the problem. "In the coming weeks, we urge Jeb Bush to outline his specific plan to reduce carbon emissions," the group said in a statement. 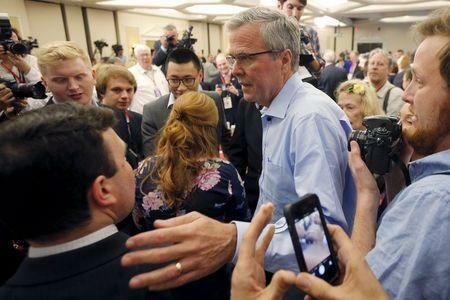 In a speech in New Hampshire Friday, Bush said he was concerned that the climate was changing but said the United States should not act unilaterally. "We need to work with the rest of the world to negotiate a way to reduce carbon emissions," he said. Bush said however that he was more concerned about the United States maintaining its economic competitiveness, and highlighted the role that natural gas should play to ensure carbon cuts while maintaining its competitive edge. “We need to restore our competitive posture, which I think our energy revolution will allow us to do," he said. Last week Steyer called out Bush for reaffirming his support for the Canada-to-United States Keystone pipeline, a project that Steyer vocally opposed in the lead-up to the 2014 mid-term elections. 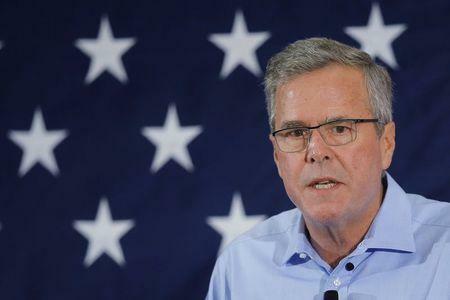 Bush has previously made comments questioning whether human beings cause climate change. Steyer backed candidates in 2014 that took an active stand against the pipeline.